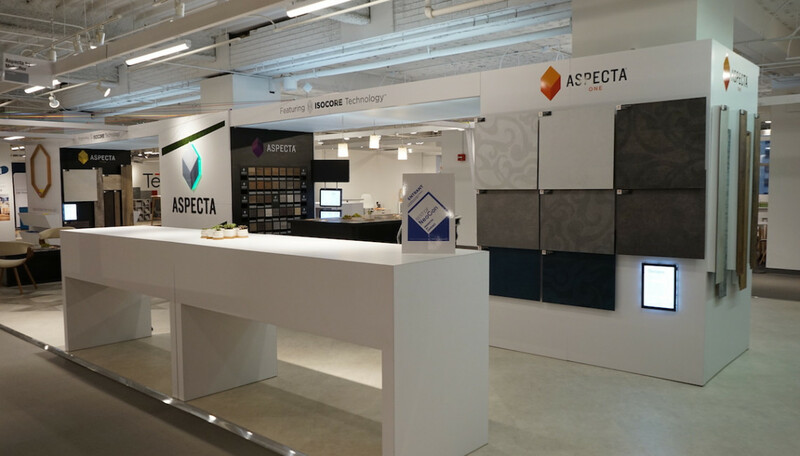 Long-time client, Metroflor, attends multiple shows each year and needed to revamp its previous trade show display for Neocon 2018. 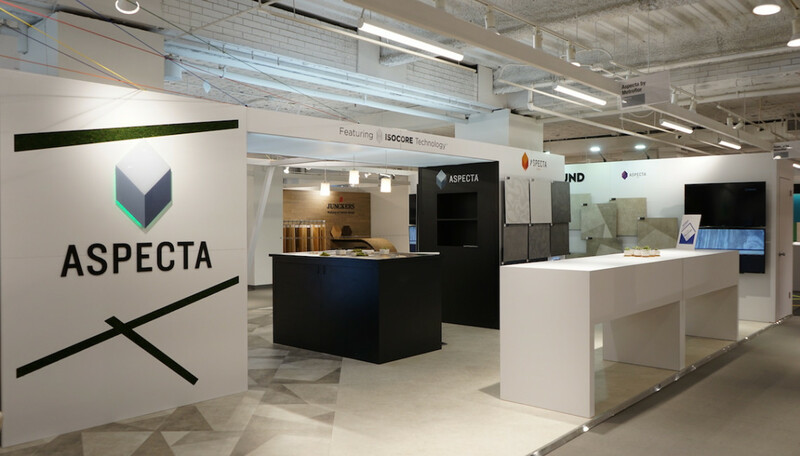 To achieve a new, rejuvenated look, using much of the previous booth’s elements, Nimlok Chicago refreshed the theme colors, added fun, innovative elements, while also keeping the brand and its product lines central. 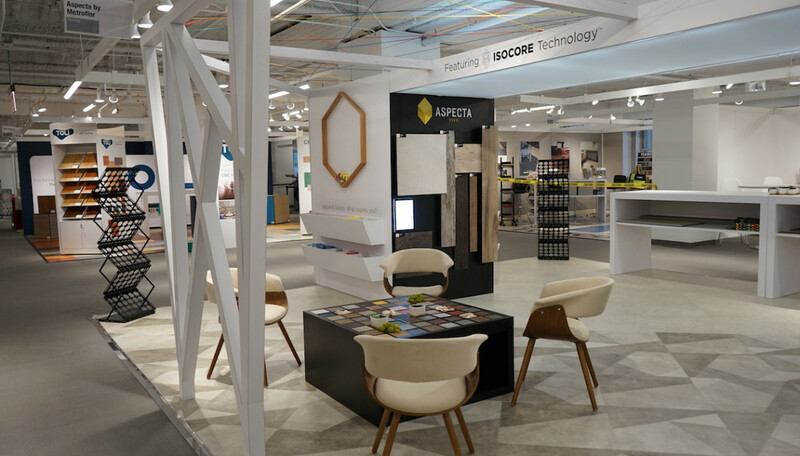 At its core, Metroflor’s trade show exhibit revolved around nature and biophilic design. The design included natural elements like moss and rocks, but took it a step further by adding an eye-catching engagement piece. 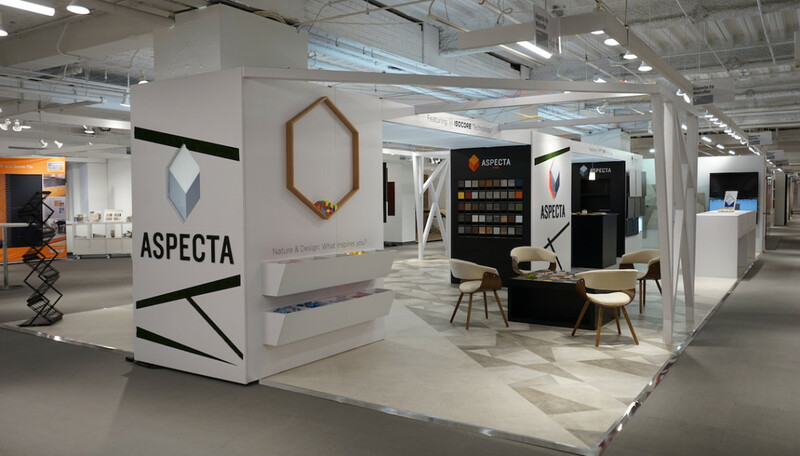 Neocon attendees could create their own designs out of multi-colored blocks in a hexagonal shape mounted on the wall. 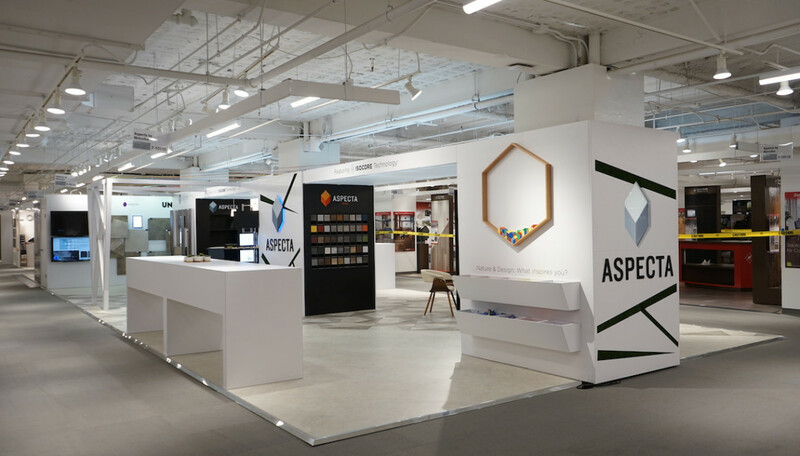 The piece was titled, “What Inspires You?” and served as an experiential marketing piece, effectively starting conversations between attendees and booth staff. 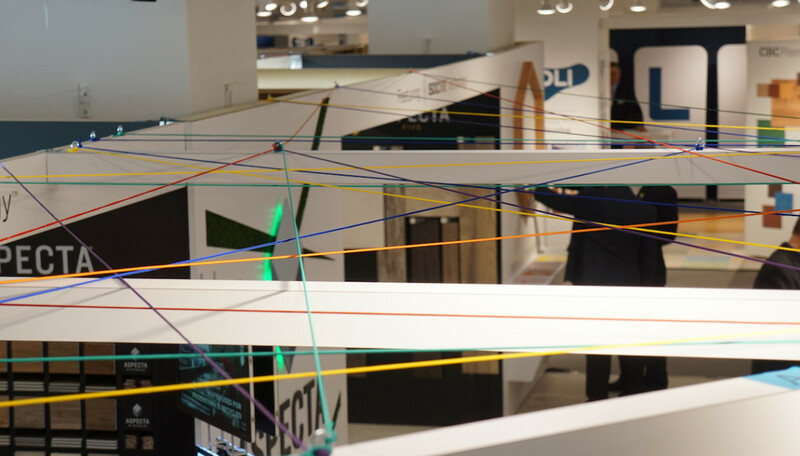 A matching colorful set of strings were scattered tightly throughout the “ceiling” of the exhibit, adding interesting pops of color to an otherwise black and white exhibit. 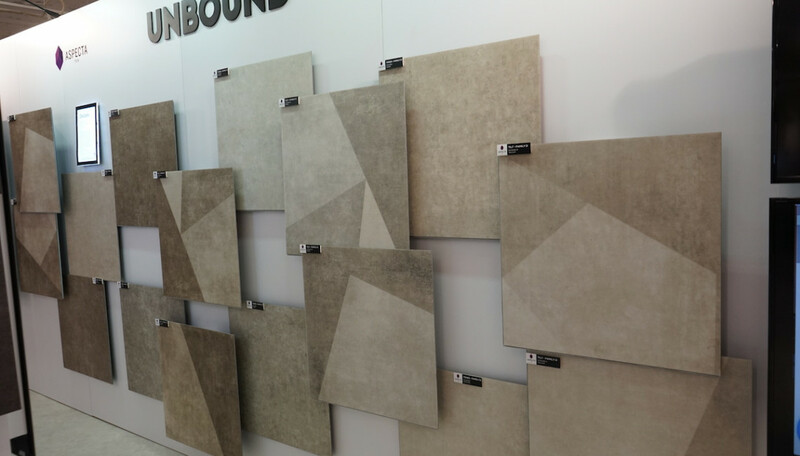 Because Metroflor’s flooring product was the focus of the exhibit, it was incorporated into several areas of the exhibit. 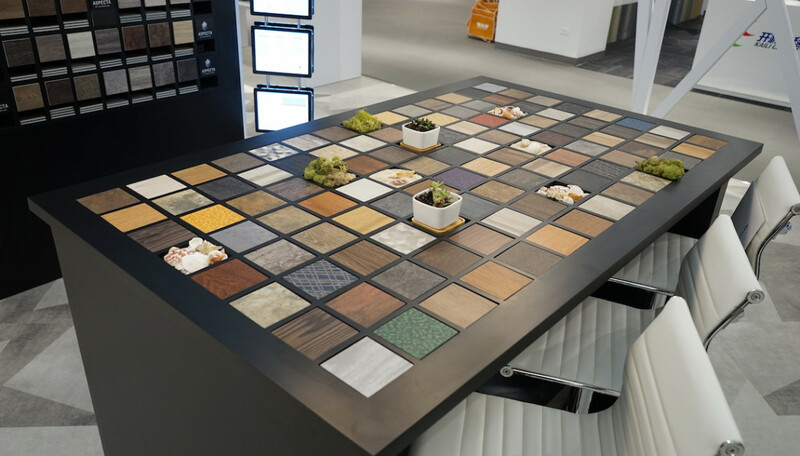 Samples were placed on walls as accents, and were even incorporated into custom-made exhibit furniture. 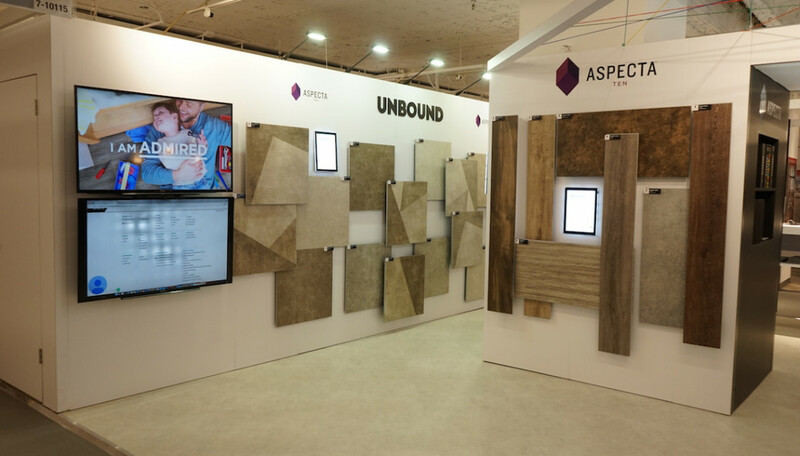 As a finishing touch, digital messaging was placed throughout the trade show booth to further communicate the Metroflor brand, product features, and capabilities.